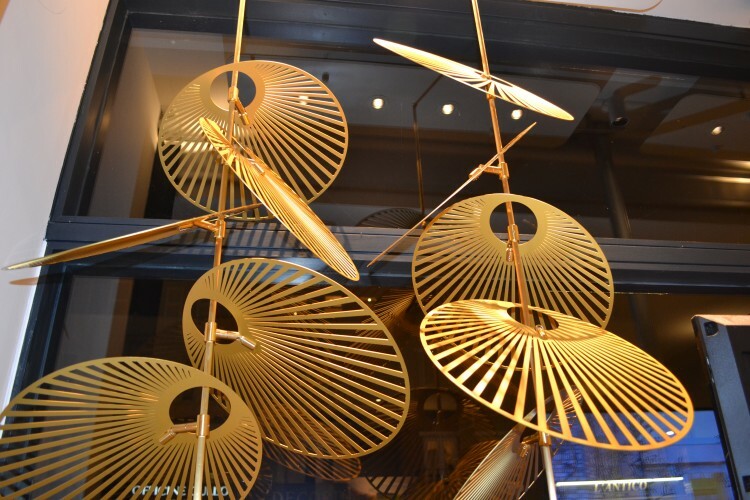 We spoke with our partner for the 2016 London Design Festival, London based contemporary lighting studio By Luum, about the inspiration behind their bespoke lighting installations. Inspiration can come from many sources, from nature, abstract art or even manufacturing processes. Flames form for example, is directly inspired by the process that is used to make it. Borosilicate glass is heated by a high temperate flame and then inflated with gas, like blowing up a balloon. At Luum we try to capture movement, a snapshot in time, like the fall of raindrops or the explosion of a firework. Our designs could also be described as playful, we try not to take ourselves too seriously. Why did you choose the products chosen for installation in our showroom? All of our products are bespoke and so very adaptable. The pod area in the showroom provided the perfect blank canvas for Flame installation to appear to float up from the floor, allowing a 360degree view. 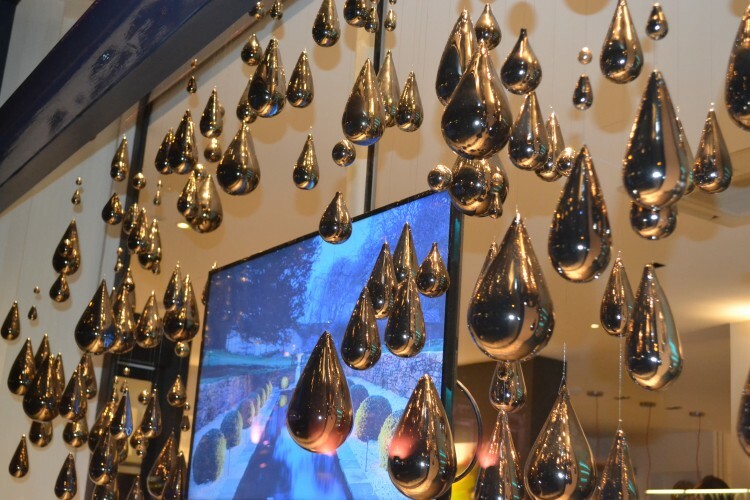 Leaf and Raindrop were chosen to create an inviting display in the large shopfront on Kings Road. 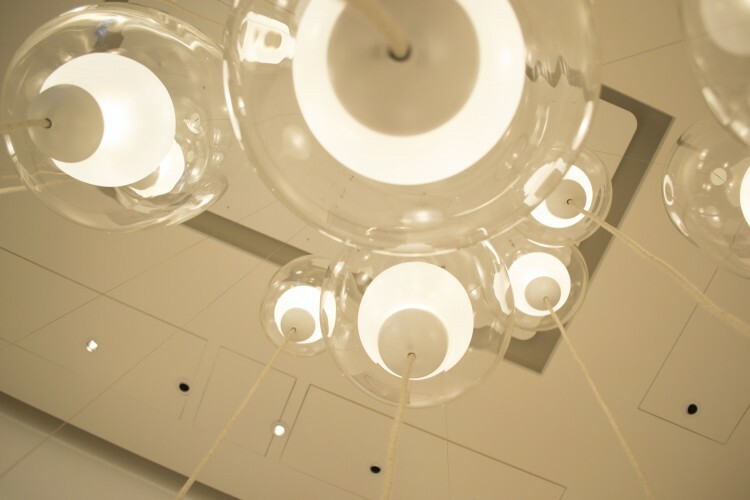 Why do you think your installation works so well with architectural lighting? Products like Leaf and Raindrop are sculptural pieces that look at their best when lit from an external source, so we use architectural lighting for many of our designs. Light from spotlights placed in the ceiling or up lighters positioned in the floor reflects off the surface of the installation creating highlights and shadows that add drama to their interior. 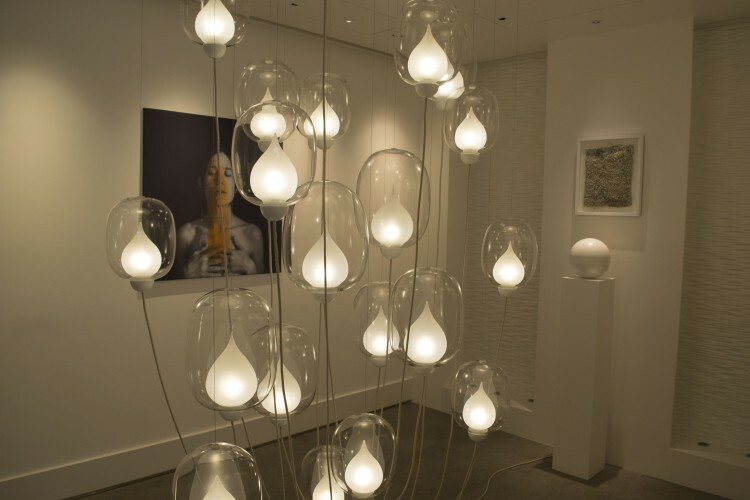 What is it about the installation that you think works well with John Cullen Lighting? The quality of the light emitted from John Cullen spotlights is great to work with. Without getting too technical, their temperature, colour rendering and beam focus have proven to work well in highlighting our work, so they are a great match. Drop by our King’s Road Showroom from the 17th to the 24th September for a By Luum and ARTIQ pop up exhibition in celebration of the London Design Festival.